The Bronx Bombers. The Pinstripes. The Evil Empire. Whatever name you may use to refer to the Yankees, there is no denying they are one of the most storied and successful franchises in sports history. They boast the most championships (27) out of any team in sports history. Love them or hate them, they will always be in the news for some story, incident, or event that occurred – which is why it is exciting that they are finally back to their old ways of being one of the best teams in Major League Baseball. In the 2017 season, the Yankees were able to finally showcase the complete group of their “Baby Bombers” – the next wave of young stars that the franchise has been developing in the minors for the past couple of years. 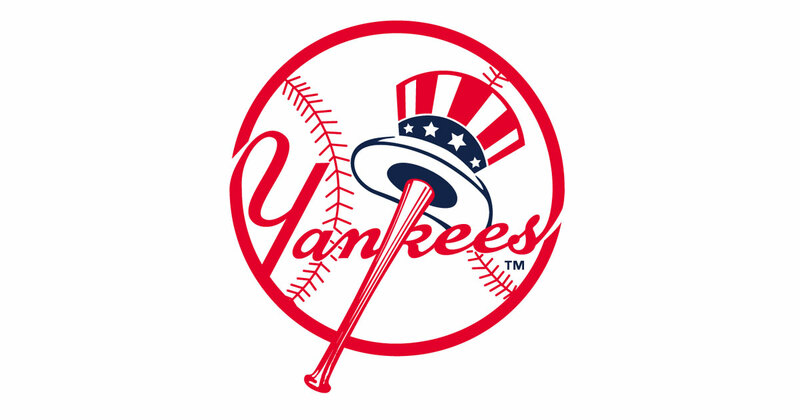 The Yankees experienced an incredible run of success in the late 1990s and 2000s by developing their farm system and using home-grown talent to produce 5 championships in 1996, 1998, 1999, 2000, and 2009. Derek Jeter, Mariano Rivera, Jorge Posada, and Andy Pettitte (the infamous “Core Four”) all were groomed in the minor leagues and eventually made their way up to Yankee Stadium. Flash-forward to 2017 and the Yankees put forth Aaron Judge (25 years old), Gary Sanchez (24), Luis Severino (22), and Greg Bird (24) into their every-day lineup. By no means is this a comparison to the “Core Four,” but rather an illustration of how the Yankees are once again building a fearsome roster using home-grown talent. Judge, Sanchez, Severino, and Bird all have unique and complimentary talents that they will be utilizing for the next several years in a Yankees uniform. During the 2017 MLB Playoffs, all 4 of these young men contributed in various ways to help the Yankees knock off the favorite Cleveland Indians in the ALDS and take the Houston Astros – the eventual World Series champions – to Game 7 and the brink of elimination. Expect these 4 to continue to enhance their skill sets and improve in the coming years. Gleyber Torres – The #1 prospect in all of baseball according to MLB.com, Torres was on his way to the Yankees roster in 2017 before suffering a freak injury sliding into home plate during a game. He is only 20 but was tearing up AAA baseball. Torres can play second base, shortstop, or third base, and has a great bat. Depending on where the Yankees see him playing, he could be a key contributor during the 2018 season. Torres has the makeup of a future superstar in the MLB. Clint Frazier – Although Frazier appeared in 39 games for the Yankees in 2017, he is still considered a prospect as he did not make the Yankees roster out of spring training. Frazier has incredibly quick bat speed and lots of power. He showed some pop in his brief Yankees tenure this year and should continue to contribute in 2018. Another young prospect who is only 23, Frazier is highly regarded in many baseball circles. Chance Adams – Adams is the lone pitcher on this list, but do not mistake that as a slight to him. He performed very well in AAA in 2017 and should push to contribute to the pitching staff in 2018. Although it might not be as a starter at first, Adams might be suited for a bullpen role to start his major league career. The Yankees had an incredibly deep bullpen in 2017, but there are never enough arms on a roster – especially in the playoffs when games get shorter and starting pitchers get yanked earlier than during the regular season. The Yankees have a history of giving big-money contracts to free agents. While many of these contracts were given to players who helped win many games for the Yankees, they were often for way too many years and strained the Yankees’ payroll. Ever since legendary owner George Steinbrenner passed away, his son and current control owner Hal has made an emphasis to get the Yankees below the luxury tax threshold that they consistently have been paying every year. Slowly but surely every year they are getting closer and closer to being under the luxury tax. This is a smart business model for the Yankees to follow – develop players through their minor league system and control them at team-friendly rates for as long as possible. This gives them the flexibility to give out some contracts to free agents while also keeping money available to extend their home-grown talent. However, no matter how much they publicly state they are not going to be spenders, there is always the temptation to splurge and sign a star. They are a big-market team with their own television network that generates millions and millions of dollars in revenue. When free agency hits after the 2018 season, who knows if they Yankees will want to sign someone from the incredible class (i.e. Bryce Harper, Manny Machado)? Imagine one of those 2 on the same team with the Baby Bombers and upcoming prospects. That will be very scary for opposing teams. One of the major strengths of the Yankees is their deep and talented bullpen. Aroldis Chapman, Dellin Betances, David Robertson, Tommy Kahnle, and Chad Green give the team the ability to shorten games and take out the starting pitcher earlier if he is struggling. This is such a valuable asset to have, especially in the playoffs. It will be interesting to see if the team tries to trade one of these pitchers (i.e. Betances) this offseason in exchange for starting pitching or another position. No matter what happens this offseason, the Yankees will enter the 2018 season with one of the best bullpens in baseball that will help them win games. No team is complete without veteran leadership, and the Yankees sure have plenty of that. Between Brett Gardner, Masahiro Tanaka, Starlin Castro, Chase Headley, Didi Gregorius, Jacoby Ellsbury, CC Sabathia (if the Yankees re-sign him), and others, there is plenty of experience and contributions. These guys will help take pressure off the young players on the roster as well as offer them guidance and advice as they continue to progress in their young careers. These guys have been in several high-pressure situations and provide a steady presence in the locker room. They all showed that they can still play in 2017 and the playoffs, and they will be hungry and motivated to return to compete for a championship. Even if you’re not a Yankees fan, it is very clear that the Yankees have turned the ship around quickly and reclaimed their status as one of the best teams in baseball. The current mix of young, rising stars and contributing veterans bodes well for their chances to compete for the foreseeable future. The future is bright for the Bronx Bombers and it will be exciting to watch the team progress and attempt to add on to the 27 championships the franchise currently boasts.